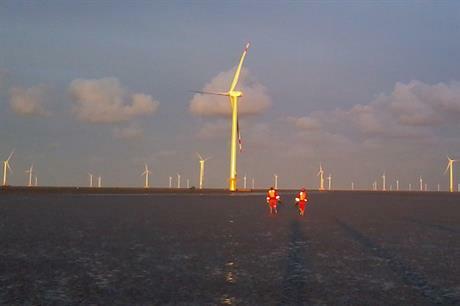 CHINA: Goldwind has signed a cooperative framework agreement with the government of Fuzhou city and developer China Three Gorges Corporation (TGC) to build an offshore wind research centre. The park, located in Fuqing, in the Fujian province, east China, will have the capacity to manufacture and test offshore turbines, have a base for sales and facilities for maintenance, including personnel training, of offshore wind equipment. The park is expected to require investments of approximately CNY4 billion ($644,000) in total. Upon completion, it is expected to generate CNY13 billion ($2 million) a year. In this new strategic partnership, with the help of the local government's resources and TGC's capital strength, Goldwind wishes to build up the Fuzhou wind industrial park into an authoritative offshore wind research centre in the country, the company said. China's top manufacturer has only installed 109.5MW offshore to date. TGC, has previously focused on hydropower but has installed 481MW of wind in China last year.